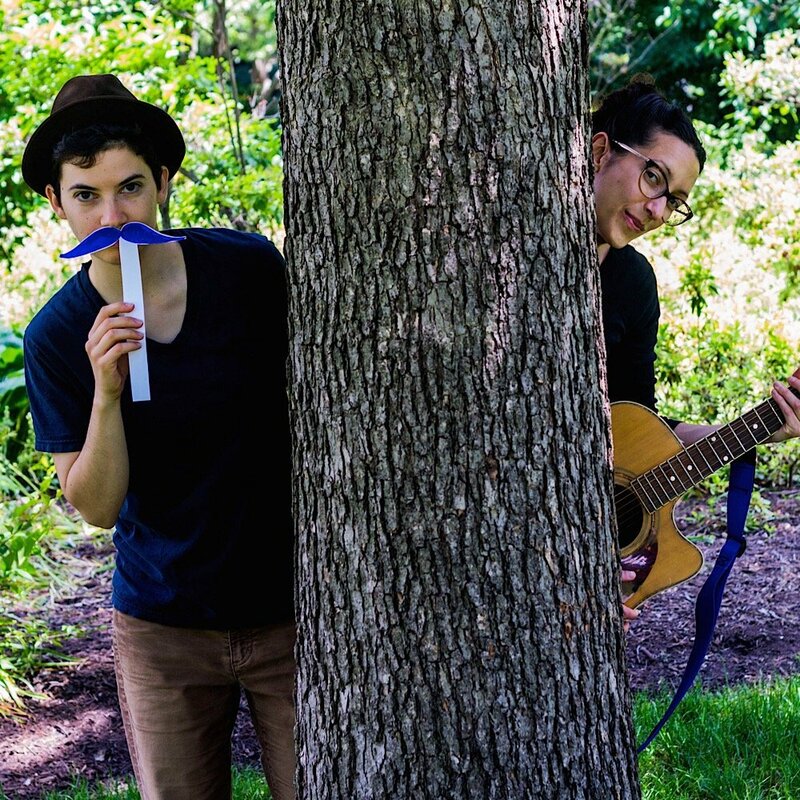 Ants on a Log is a musical duo who will soon release their brand-new album on April 19th. 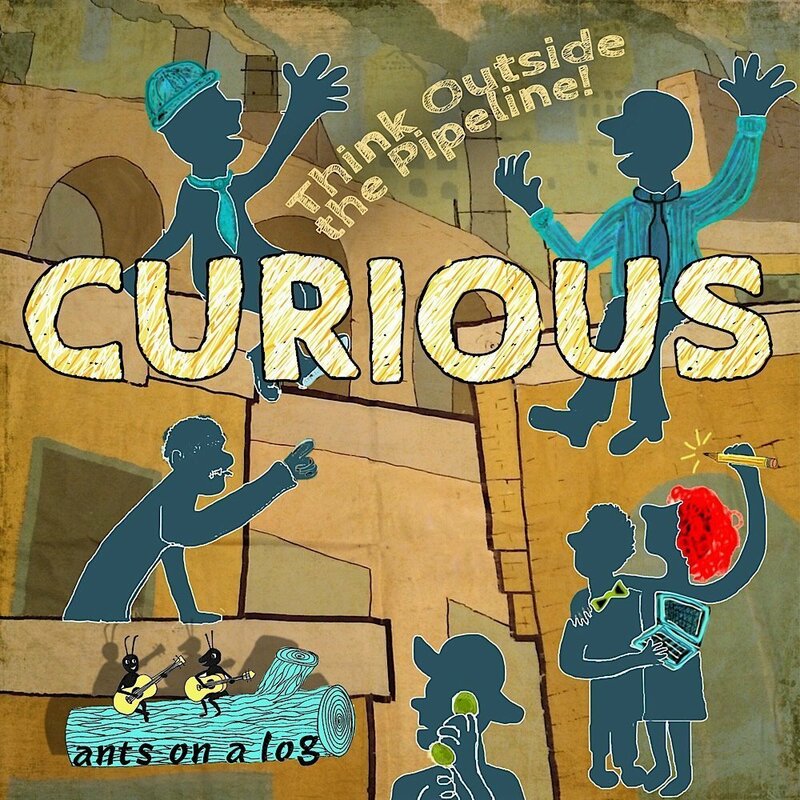 Recently Julie and Anya—the artist-educators who make up Ants on a Log—discussed this album and more via an exclusive interview. Ants on a Log music is catchy and suitable for listeners of all ages. Meagan Meehan (MM): How did you initially get interested in music and how come you focus on kids’ music? Julie: I always related to music as my main source of knowledge. In elementary school, I memorized Billy Joel’s “We Didn’t Start the Fire.” During one memorable dinner, I asked my parents about each historical reference in that song. It was a very long dinner! I fell into kids’ music accidentally. I think my wonder and excitement have been deemed “childlike” by society, but I want it to be socially valuable for adults to be playful and wonder at the world too! MM: How did you form your band and select your name? MM: How did you go about breaking into the music scene? Anya: I put a sticker on the back of my guitar that says, “Just do it.” “Fake it til you make it” has also been a helpful motto. I wanted to find musicians to play with, and when you meet musicians, you end up meeting more musicians. It’s a community. Julie: We have both had several bands over the years, so it wasn’t so much “breaking in” as it was gradually learning and slowly meeting the people and venues who we wanted to connect with. The family music community has been especially welcoming, and we are grateful that we happen to live in Philly, which hosts the annual KindieComm, where we’ve been able to meet other kids’ musicians. Trading stories and strategies with other musicians has been the best way to feel like part of a scene. MM: What inspired the songs on your forthcoming album? Julie: A few summers ago, there was a proposed oil refinery expansion in Philly. Lots of local organizations were fighting against it, and we were inspired by the movement. We particularly love Philly Thrive’s model of activism, which encourages involvement via avenues you’re already connected with. In other words, if you are a teacher, you can teach about Philly’s poor air quality. If you’re a musician, you can organize a benefit concert. Everyone’s skills are valuable in this model, and word is spread through a variety of networks that may have otherwise been missed. Our new album is the soundtrack to our musical, which is based on the story of Philly’s fight for clean air. MM: Of all the songs, have you any special favorites? Julie: Air and Space is a song Anya wrote for the musical, but we also perform it at concerts. The song is a duet between the young protagonist of our musical, Clio, and her Uncle Steve (who is played by Julie holding up a moustache on a stick). Uncle Steve wants to show off everything he knows and constantly interrupts and demeans Clio. Finally, she gives him a lesson in “mansplaining,” and it turns out to be beneficial to them both. We won’t give it all away, we’ll just say that if anyone reading this has an Uncle Steve in your life, this song is for you. And him. Julie: I also love this song because it brings up questions about gender. As a genderqueer person, it’s important to me that we start those conversations early and normalize talking about gender as a non-binary concept. It’s been fun and complex for me to play the role of Uncle Steve, our beloved mansplaining character! Anya: The song is just so true so often, and it makes me happy that there are so many people who can relate. People laugh at the right places. MM: How do you plan out your concerts and what can attendees expect from live events? Julie: We spend a lot of time thinking about attention spans. Not only do we consider how long kids can sit, how much information they can take in at once, and what kind of gross and fine motor skills they have, we also think about this from the adult perspective! We want our concerts to be fun for adults too. If the adults enjoy the show, we know that kids pick up on that, and we think it’s very important for kids to watch adults who know how to have fun. 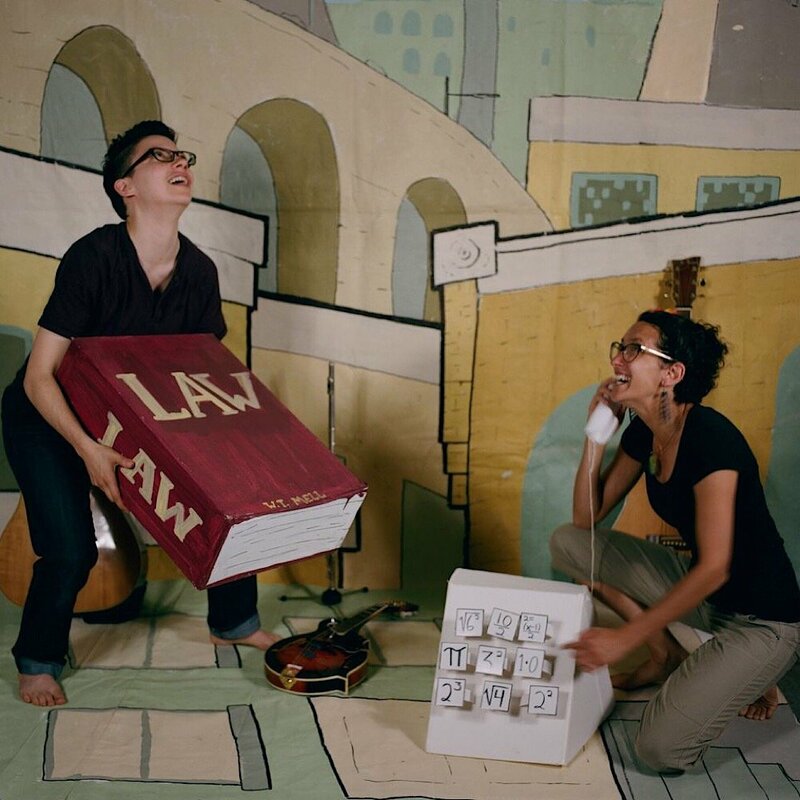 Our shows are full of harmonies, clever word play, feminist values, and percussion made from all sorts of household objects (jars with rice, toothbrushes, etc.) We also sing about complex topics like the EPA, step-parents and gender expression– we think kids understand more than society gives them credit for. Anya: We wrote our musical in summer of 2016. This was before the Sunrise Movement officially started, but we would like to give a shout-out to our youth friends in that movement and similar movements– like Ready for 100, Moms Clean Air Force, and Philly Thrive, to name a few– who are fighting this fight. We are so excited to see what this next generation accomplishes, and we hope we can help lift them up and help them be heard. Visit www.antsonalogmusic.com for more album information and the latest performance updates. Ants on a Log are two educator-musicians out of Philadelphia.